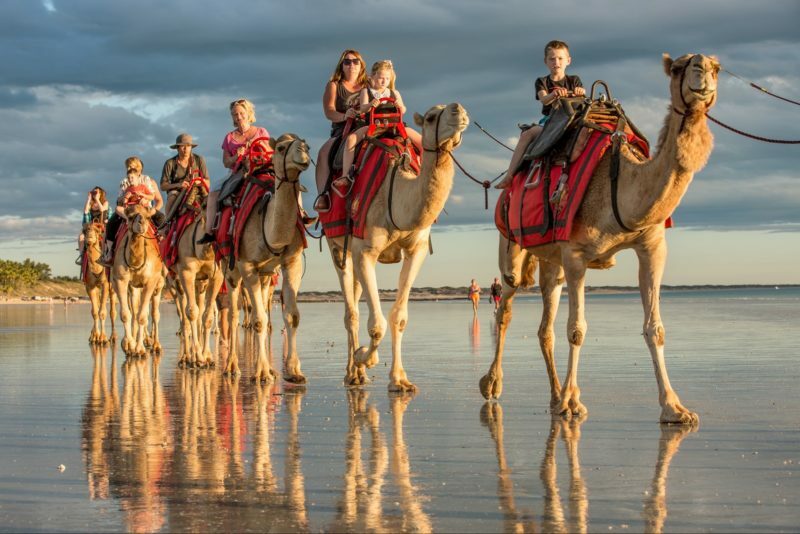 Whether you visit for work or leisure, they guarantee your review of Western Australia’s Pilbara region will include the word “unforgettable”. Their holiday park is perfectly located for both remote workers and holidaymakers. 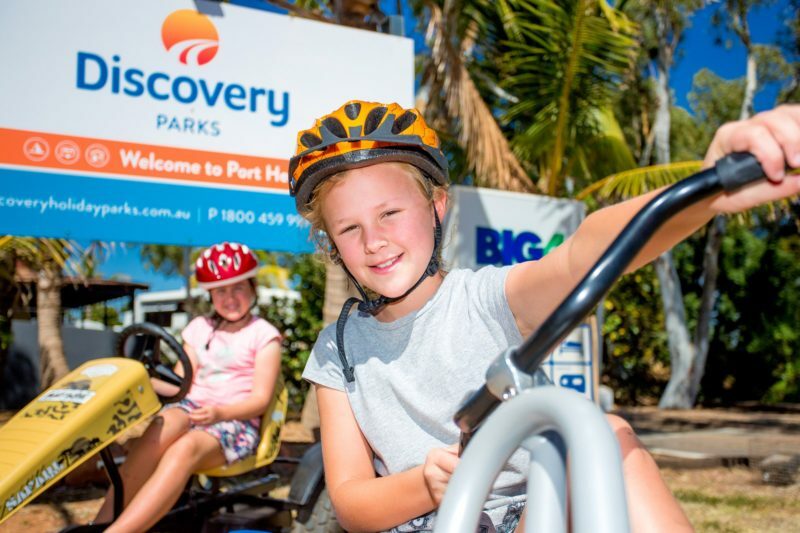 Discovery Parks – Port Hedland (formerly Cooke Point Holiday Park and Big4 Discovery Parks – Port Hedland) is a great base for outdoor adventures, from off-road driving to coastal walks and endless fishing hot spots. The world’s largest bulk tonnage export port is perfect for fishing, crabbing and whale watching. Take a BHP Billiton Iron Ore Tour or a Reef Walk to discover Port Hedland’s rich ecosystem. The unique phenomenon ‘Staircase to the Moon’, when the full moon rises at low tide, is a must-see. The Deluxe 1 bedroom cabin has one bedroom with a queen bed, lounge and dining area, en suite and kitchen with large balcony. All linen is included. Sleeps two. The Superior Cabin has two bedrooms with a lounge and dining area, en suite and full kitchen. Facilities include two queen beds, all linen supplied, television and DVD player, cook top, microwave, oven, full-sized fridge, reverse cycle air-conditioning, verandah and outdoor setting. The Villa has two bedrooms with a lounge and dining area, ensuite, full kitchen and laundry. Sleeps three. 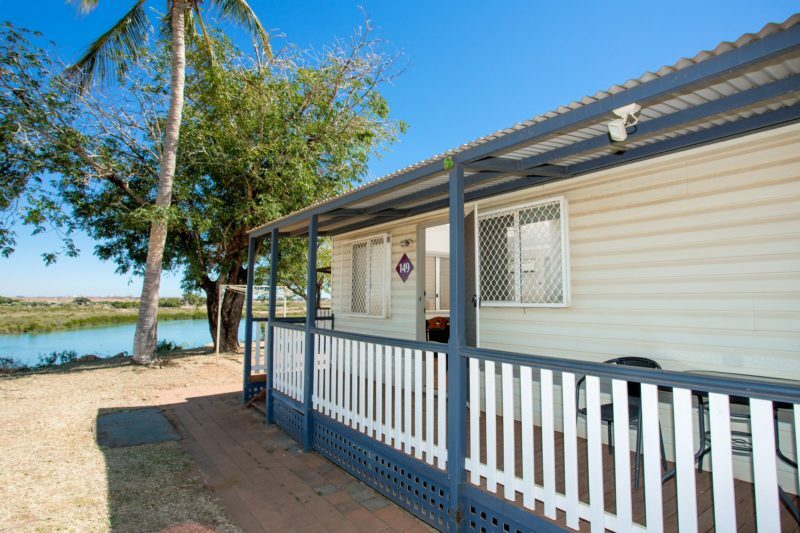 Facilities include one queen bed, one single bed, all linen supplied, television, cook top, microwave, oven, full fridge, reverse cycle air-conditioning and verandah. The Superior Cabin has two bedrooms with a lounge and dining area, ensuite and full kitchen. Sleeps three. Facilities include one queen bed and one single, all linen supplied, television and DVD player, cook top, microwave, oven, full sized fridge, reverse cycle air conditioning, verandah and outdoor setting. The Standard Studio Room is one room with a small dining area and full kitchen and ensuite. Sleeps two – no infants allowed. 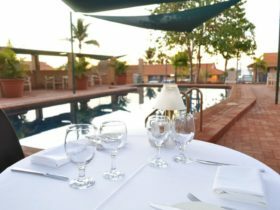 Facilities include one double or two single beds, all linen supplied, television, cook top, microwave, bar fridge, reverse cycle air-conditioning, verandah and outdoor setting. Sleeps two – no infants allowed. 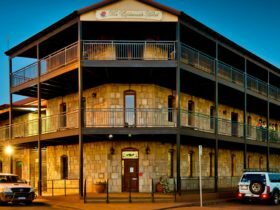 Facilities include one queen bed, all linen supplied, television, microwave, bar fridge, reverse cycle air-conditioning, verandah and outdoor setting. The Economy Room – Shared Ensuite has private rooms either double or twin share with a shared kitchen and dining area. There are shared ensuite bathroom facilities, guests have the use of the parks ablutions blocks. Sleeps two. No children or infants allowed. Facilities include one double or two single beds, all linen supplied, bar fridge, reverse cycle air-conditioning, shared kitchen facilities and television room. Their paved sites are the perfect place to setup your van for a quick overnight stay or an extended visit. Easy access to both power and water. 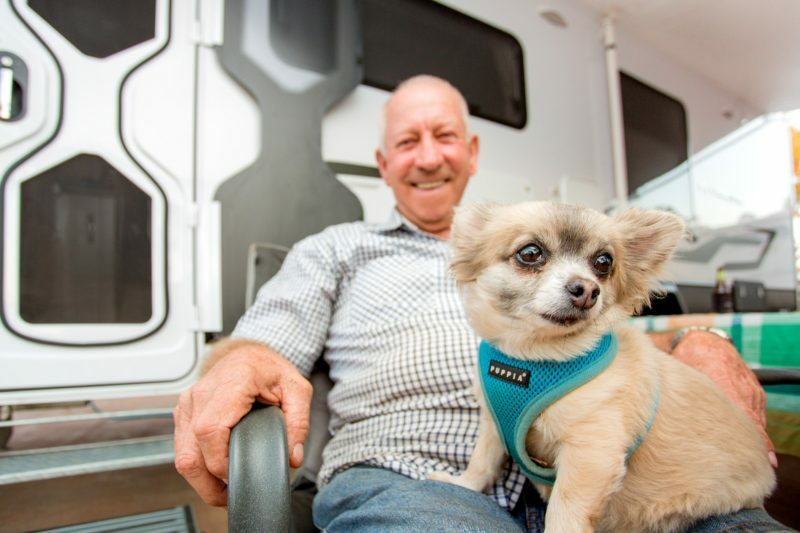 Their paved campervan sites are suitable for up to a six berth motorhome and have easy access to both power and water. Limited grass sites are available in Cooke Point, suitable for either a camper trailer or standalone tents. Fully self-contained cabin over looking pretty pool and the ocean, one queen bed and double bunks, full cooking facilities, living room, bathroom with washing machine and balcony. AUD20 per additional person per night.